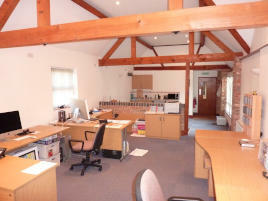 We have a small 449 sq ft office that will be available from the end of November. 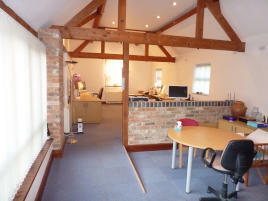 It has a shared entrance lobby and toilets with one other small office. 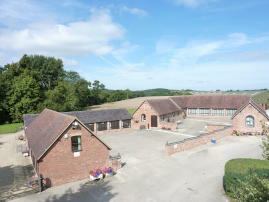 As can be seen in the pictures it is a light airy character barn conversion with fitted blinds and its own kitchen bar area. If you are considering a move please contact us to discuss further details. We are fortunate that all of our business units are full at this moment, but as we all know business never stands still and things do change from time to time.